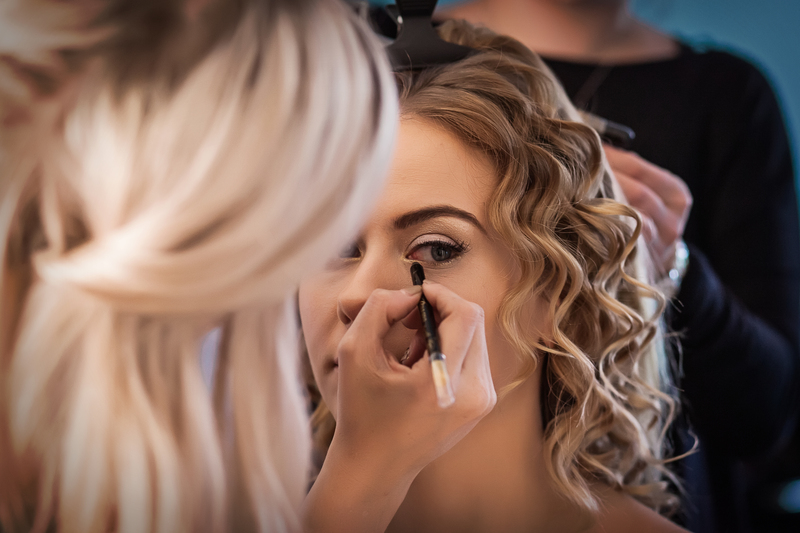 After working with the world renowned Bobbi Brown Amy became a freelance makeup artist over 5 years ago in which time she has provided bridal makeup for hundreds of happy brides and their bridal party. Specialising in natural makeup you can be assured that Amy will help you to become the most naturally beautiful version of yourself. Along side her bridal work Amy has designed makeup and hair look’s for bridal brands House of Ollichon, Florence (shoes), Katie Dell Bridal and Fashion labels Hope and Ivy and Sauce and Brown to name a few. Her work has been recognised by multiple awards including Winning the silver award of excellence from Bride Book, being a Regional finalist at the wedding industry awards 2 years running and a Finalist in the British wedding awards that is ran by National Magazine Wedding Ideas. Amy is also professionally trained in T.V and film makeup and has worked on commercials and promotional video’s for Marks and Spencer, Macmillan, Hilarys blinds, feature film The last witness (starting Alex Pettyfer) and more. This works extremely well in her work with brides as she can make sure your makeup transfers perfectly onto Photography and your wedding video. Amy is also a regular Beauty Columnist for Exclusive magazine and a guest columnist for Wedding Ideas magazine, you can read Amy’s past columns here.